Monarchs Letizia, Fernando de Borbon, Tourism minister Francisco, Javier Garcia. 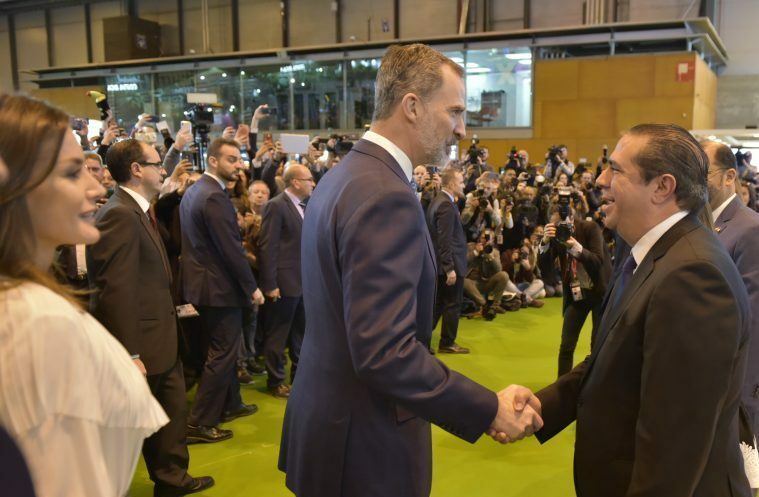 Madrid.- Spain’s 39th annual International Tourism Fair ended Sunday with “total success” according to organizers, and 11% higher participation than the previous year. This event brought together 886 exhibitors and 10,500 companies from 165 countries and regions on over 67,000 square meters and with Dominican Republic as a partner, a status bestowed on a Latin American country for the first time. The Fair which began Wednesday hosted 143,000 visitors, which places it among the most important in the world.